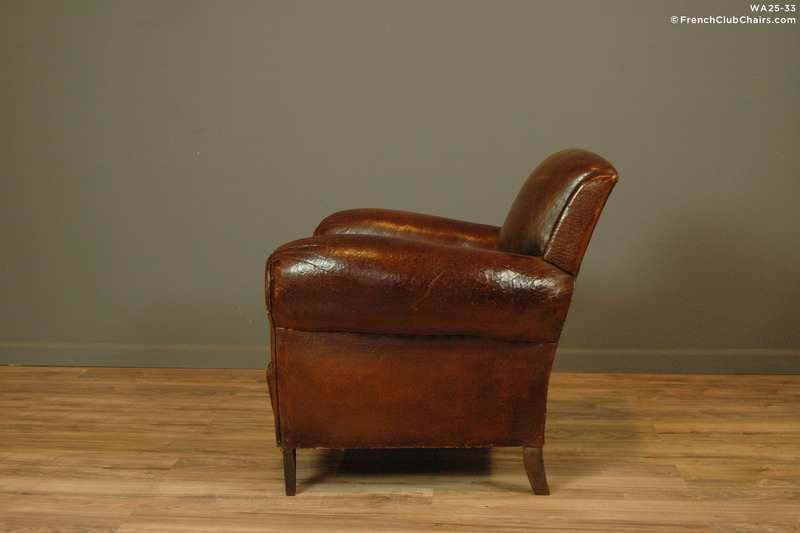 Christophe Solo Vintage This lovely 1930s orphan French Club chair features its original leather and velvet cushions. It has had its springs retied and sits med firm. measurements: depth-30", width-34", height-32", seat depth-21", seat width-20", seat height-18"